What Is a Revocable Living Trust Successor Trustee? When you decide to get serious about planning your estate, you should understand all of the facts. Many people assume that they should use a last will to transfer assets because they are not especially wealthy. They have heard that trusts are only used by very affluent people. 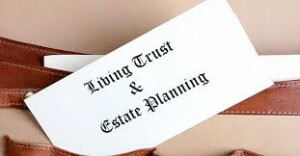 In fact, there are different types of trusts that are used for different purposes. There are trusts that are used by high net worth individuals to gain estate tax savings and asset protection. However, revocable living trusts are useful for people who don’t have these concerns. In this post we will look at revocable living trusts and the role of the successor trustee. When you create a revocable living trust, you are referred to as the grantor of the trust. There is a trustee who administers the trust, and a beneficiary who can receive monetary distributions from the trust. While you are alive and perfectly capable of handling your own affairs, you can act as the trustee and the beneficiary. As a result, you maintain complete control of the trust. You handle all of the trust’s business, and you can take distributions from the trust. Because it is revocable, you can revoke or dissolve the trust entirely if this is your choice. You are creating the revocable living trust to facilitate asset transfers after you pass away. To make this happen, you name a successor trustee, and you also name successor beneficiaries. After you die, the successor trustee will distribute assets from the trust to the successor beneficiaries according to your wishes. This is the role of the successor trustee. When you are choosing your successor trustee, you could select someone that you know who is a good money manager. However, if you go this route there could be longevity concerns, and there could be real or perceived conflicts of interest. To avoid these drawbacks, you could engage a trust company or the trust department of a bank to act as successor trustee. The successor trustee could also be empowered to step in and administer the trust in the event of your incapacitation. A significant percentage of elders do become unable to handle their own financial affairs, so this is an added benefit that you gain when you create a revocable living trust. Revocable living trusts are very popular, because they facilitate efficient asset transfers to your loved ones after you pass away. If you would like to learn more about them, we have a valuable resource that is available to you free of charge. Our firm has prepared an in-depth report that will answer all of your questions about revocable living trusts. To obtain access to the report, click this link and follow the simple instructions: Charlotte NC Living Trust Report.